Jerusalem, Dec 4 (Just News): The Palestinian president on Sunday warned that American recognition of Jerusalem as Israel’s capital would jeopardise the White House’s nascent West Asia peace efforts. 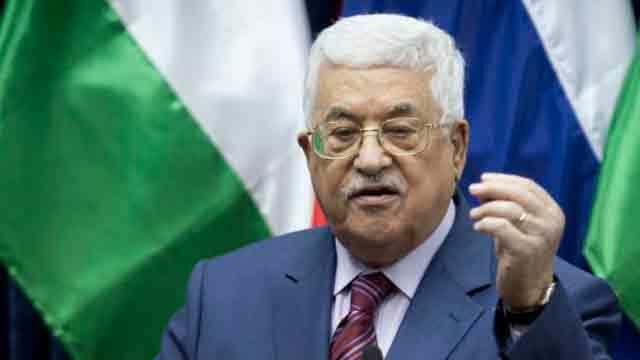 President Mahmoud Abbas’ comments came amid a diplomatic push by him to rally international support against the possible American move later this week. “Any American step related to the recognition of Jerusalem as capital of Israel, or moving the U.S. Embassy to Jerusalem, represents a threat to the future of the peace process and is unacceptable for the Palestinians, Arabs and internationally,” Mr. Abbas told a group of visiting Arab lawmakers from Israel, according to the official Wafa news agency. American officials have said U.S. President Donald Trump may recognize Jerusalem as Israel’s capital this week as a way to offset his likely decision to delay his campaign promise of moving the U.S. Embassy there. Israel regards Jerusalem as its capital, with most government functions, including the prime minister’s office, Supreme Court and parliament, located in the holy city. But the international community says the city’s status should be determined through peace talks. Palestine claims east Jerusalem, captured by Israel in 1967, as their capital. Mr. Abbas’ spokesman, Nabil Abu Rdeneh, said on late Saturday that the president has been in touch with Arab and world leaders to rally opposition against any American move on Jerusalem. “We believe that such an American step, if it takes place, will enter the region in a new course, and a dangerous phase whose results cannot be controlled,” he said. The White House, led by Mr. Trump’s adviser and son-in-law, Jared Kushner, has held months of meetings with leaders across the region ahead of an expected peace initiative. While the proposal is expected to be regional in scope, little is known about the details, including whether Mr. Trump will continue the policies of recent predecessors in supporting the notion of an independent Palestine state. Mr. Kushner said on Sunday that Mr. Trump has not yet decided whether to recognize Jerusalem as Israel’s capital or whether to proceed immediately in moving the U.S. Embassy from Tel Aviv to the holy city. “He is still looking at a lot of different facts,” Mr. Kushner said at the Saban Forum, an annual Mideast policy conference in Washington. Ahead of Mr. Kushner’s comments, the chief Palestinian negotiator, Saeb Erekat, urged the U.S. not to move forward with any change on Jerusalem’s status.